On Wednesday, Feb. 19, in Sacramento, Los Angeles and San Francisco, a broad coalition of organizations representing housing, health care, faith, youth, women’s issues, criminal justice and more will deliver a letter responding to the two-year extension on prison overcrowding. The letter, to be delivered to Gov. Jerry Brown, Senate Pro Tem Darrell Steinberg and Speaker John Perez, calls on the leadership of the state of California to respond by immediately reducing prison overcrowding by expanding parole and sentencing reform measures, investing resources in restorations to the social safety net and canceling all prison expansion plans. “We appreciate the steps the court has taken to address prison overcrowding and support their order not to send additional prisoners to out-of-state facilities,” says Diana Zuñiga, field organizer for Californians United for a Responsible Budget. “However, unless we immediately cancel all of Gov. 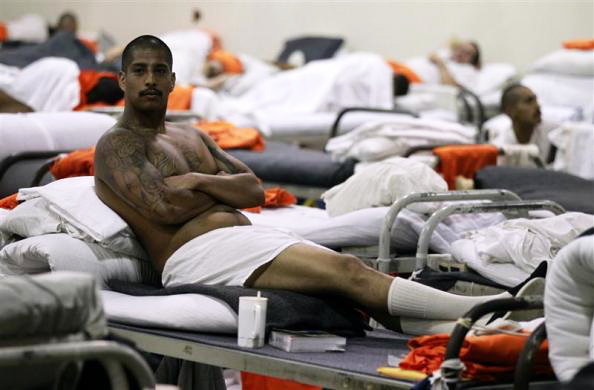 Brown’s current plans to expand California’s prison capacity by over 5,000 new beds, we will not solve the crisis. Participating organizations include A New PATH, All of Us or None – San Diego, California Families to Abolish Solitary Confinement, California Coalition for Women Prisoners, California Partnership, Courage Campaign, Critical Resistance, California Prison Moratorium Project, Californians United for a Responsible Budget, Ella Baker Center for Human Rights, FACTS Education Fund, Fair Chance Project, Friends Committee on Legislation California, Grey Panthers of San Francisco, Invest in Education Not Incarceration Transform Education, ISIDORE, Legal Services for Prisoners with Children, The Los Angeles Community Action Network, National Association of Social Workers – California Chapter, People’s Power Assembly – United for Racial Justice, PICO California, Sin Barras – Santa Cruz, United Against Police Terror – San Diego, Western Center on Law and Poverty. On Wednesday, CURB will hold press conferences at 10 a.m. outside the governor’s office in Sacramento and at 11 a.m. at the Ronald Reagan State Building, 300 South Spring St. in Los Angeles and at the San Francisco State Building at 350 McAllister St.
Emily Harris, statewide coordinator of Californians United for a Responsible Budget (CURB), can be reached at emily@curbprisonspending.org or 1322 Webster St. #210, Oakland, CA 94612, 510-435-1176. On Feb. 10, the federal court granted California and Gov. Jerry Brown a two-year extension to reduce the deadly overcrowding in our state’s prisons. If utilized correctly, this could be the moment to finally stem the tide of using incarceration as the solution to California’s ills, at detriment to our communities, our public safety and our economy. Act immediately to reduce the number of people incarcerated: California cannot solve the overcrowding crisis by simply moving people around; we must reduce the population. Ensure that CDCR and Gov. 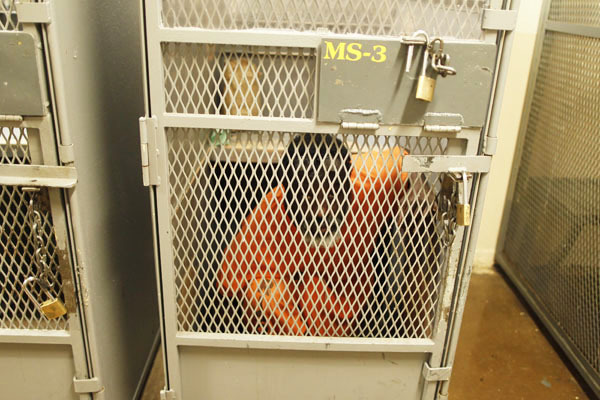 Brown are held responsible for reaching the 137.5 percent population reduction benchmark and continue to reduce overcrowding, by creating a sustainable plan to reduce the number of people we lock up. Implement and expand good-time credits, the elder parole proposal, the medical parole proposal, the Alternative Custody Program, and appoint a Lifer Czar with express intent to reduce the number of people incarcerated. California cannot solve the overcrowding crisis by simply moving people around; we must reduce the population. Reduce prison spending, restore health and human services and reduce poverty: California cannot continue to prioritize corrections spending over investing in community-run anti-poverty programs. Restore funding to anti-poverty programs devastated by previous cuts. Expand access to public benefits for all Californians. Remove barriers to participation for formerly incarcerated people. Cancel all prison expansion plans: Any increase in California’s incarceration capacity should be seen as a failure of policy and of leadership. Continue with the closure of the Norco California Rehabilitation Center (CRC). The ongoing cost to keep this dilapidated prison open is $160 million annually, not including repairs and maintenance. Cancel the activation of new prison beds. This includes the hundreds of proposed new beds at the DeWitt Nelson Correctional Annex, the Northern California Reentry Facility and newly constructed beds at the prison hospitals. Prevent the Recidivism Reduction Fund (SB105) from being used to fund prison and jail expansion. For example, $8.3 million is slated for design of the Northern California Reentry Facility. We need this funding in community-based reentry programs. Bring home all current California prisoners in out-of-state facilities and refuse to send the additional 6,292 people to contract facilities. Cancel the previous $810 million to expand prison in-fill beds. This funding only deters the governor from developing durable solutions to reduce the number of people we lock up. Any increase in California’s incarceration capacity should be seen as a failure of policy and of leadership. Ensure consistent, reliable and stringent oversight: The Legislature must assert the authority to have an ongoing say in these vital decisions. Schedule and implement oversight hearings to hold the administration accountable to the public. Appoint a compliance officer with experience in community-based, non-law enforcement programs. Ensure that the next Sentencing Commission be steered and filled with representatives from community-based, non-law enforcement backgrounds. The Legislature should act immediately and implement aggressive sentencing reforms. Develop oversight of the Recidivism Reduction Fund and ensure that no funds are used to expand state prison facilities. Why not remove all the beds and have inmates sleep on the floor? Also have their relatives bring them food, or making pay for their food as part of their punishment. Hire them out to work in the community, using the funds generated in this manner to help pay for guards, utilities and instructors to offer rehabilitation programs just so that when the inmates go back to their communities, they will have something to help them integrate themselves instead of going back to gangs or partners in crime. Because, Jose, with the "beds" you can stack them three deep, getting maximum use of your square footage of floor space. Maybe we should just kill every single soul who has ever so much as looked at a cop cross-eyed, hmmm? Does that sound like the "right" thing to do?